Juan Carlos Ferrero Donat the professional tennis player and a former World No. 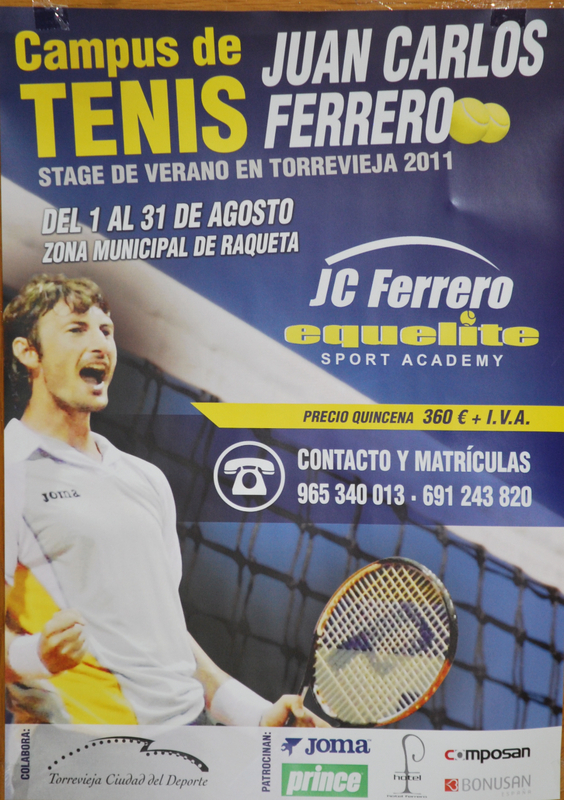 1 ranked player came to Torrevieja to present details of the Campus Tennis Juan Carlos Ferrero which will take place in Torrevieja from August 1st though 30th. The new racket sports area of Torrevieja’s Sports City will host the Sessions, which take place from 9:00 to 13:30 Monday to Saturday, and is open to enrolment for children from eight to 17 years. The price of the course is €360 a fortnight or €200 euros a week. Compared to a typical €25 per hour for professional coaching, it offers excellent value for money as not only are participants coached in tennis but there are additional classes in paddle tennis, English (for those who don’t speak it as their first language) and swimming, to name but a few. Juan Carlos Ferrero captured the men’s singles title at the 2003 French Open and in September that year he became the 21st player to hold the world no.1 ranking. He was also the runner-up at the 2002 French Open and the 2003 U.S. Open and although dogged by injury problems over the past five years, is still ranked at number 80 in the world today. Juan Carlos stressed that the courses offered are designed for students of all ages and abilities, to those with a good knowledge of game and even Spanish ranking for their age, to those who have never picked up a racquet before! He said that it is “not strictly necessary to have prior knowledge of tennis as the course provides for a level of initiation, no matter how experienced or inexperienced the participant.” Entries will be accepted until the last week of July with inscriptions and more information available from the Infanta Christina Sports Palace. 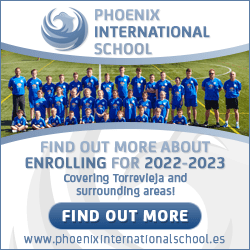 The player said he plans to spend all of August in the U.S. training, so it will be very difficult for him to personally attend the campus, but said the campus is “perfect for beginners as well as for the detection of talented stars of the future” and also that he plans to return to Torrevieja for many other tennis events in the future.